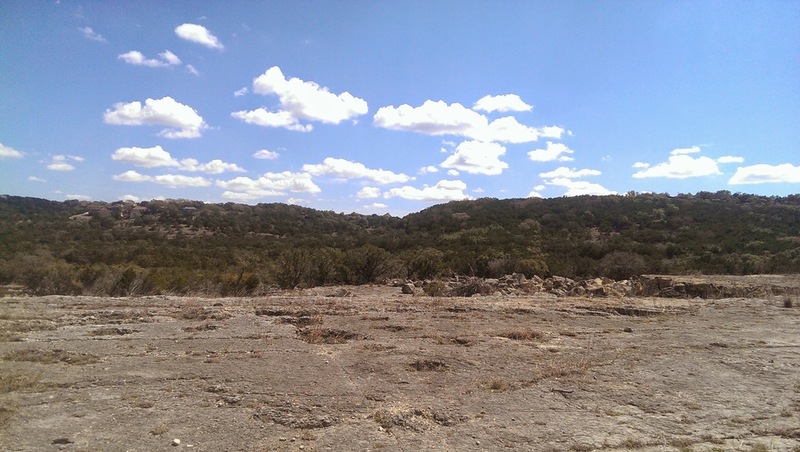 I spent a few days this past week visiting family in Texas. 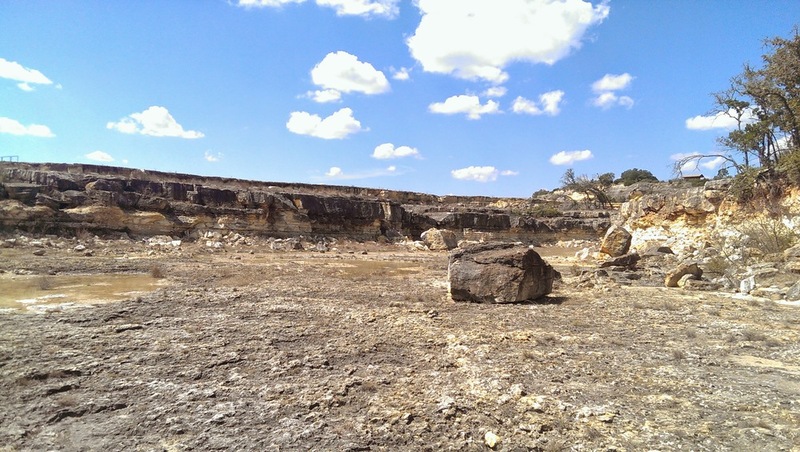 One day involved a tour of Canyon Lake Gorge, both a location named for three different geological features and a novel example of the last one. The Gorge is truly a new feature - especially in geological time - as it's only existed since a massive flood in 2002. It's all on federally-protected land so it can only be visited through a guided tour (or a very specific research permit, but I wasn't there for research). Photos of rocks and such are below. 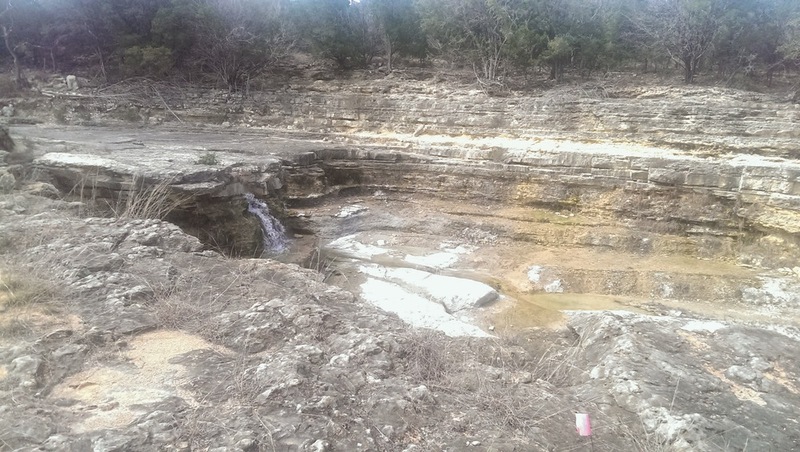 It would be nice to sample one of the limestone pools to see if there are any interesting microbes in there. It's not an active flood zone anymore so I'd assume any microbiota should resemble those in or near Canyon Lake but the different physical conditions must play a role in selection. 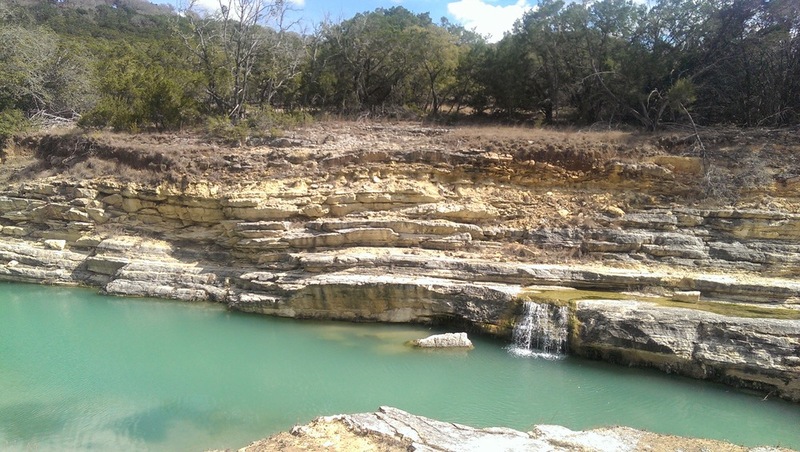 I couldn't find any published biogeochemical or metagenomic studies of Canyon Lake Gorge but there has been recent work in somewhat similar settings. I can verify that at least three species may be found in the gorge: humans, carp, and air plants.